Cactus is delighted to announce the winners of our recent language course competition, which was run in line with our appearances at The Expat Show and Language Show Live 2015. Catarina, from London, won a Chinese course in Shanghai with Mandarin House. Sophie, from Stockton-on-Tees, won a Portuguese & Painting course in Lisbon with Portuguese Connection. Jurgita, from Hoddesdon, won a General Portuguese course in Lisbon with Portuguese Connection. Sofia, from Preston, won an Italian course in Salerno with Accademia Italiana. Imogen, from Devon, won a Russian course in Riga with Durbe Latvia. Hendrik, from Brighton, won a Spanish course in Valencia with Taronja. 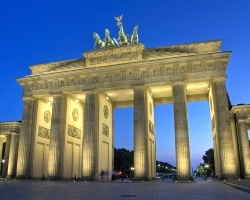 Claire, from Sevenoaks, won a German course in Berlin with GLS. John Paul, from Brighton, won a German course in Berlin with GLS. Many of the course prizes included accommodation and activities. See full terms and conditions of the competition here. We look forward to confirming dates for all of our winners and to sending them abroad to learn their chosen languages in 2016. Keep posted for their articles reviewing their experiences and for our next competitions! Many thanks again to everyone who entered and to our partner schools.